There has been a new world record for pyramids behind a single outboard powered water ski boat established. 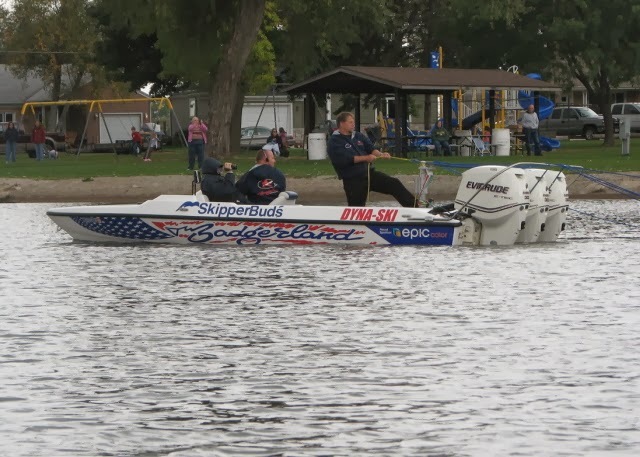 The tow boat was a Badgerland's Dyna-Ski Ski Team 20' Closed Bow model with three 300 hp Evinrude E-Tec engines. 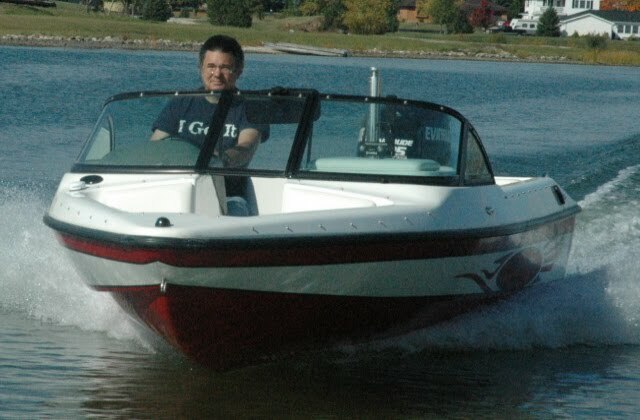 Boat Driver Jason Hook. 60 people. An amazing feat indeed. When you are pulling these many people there is a certain amount of luck involved. The luck portion is mainly no falls and no knots. 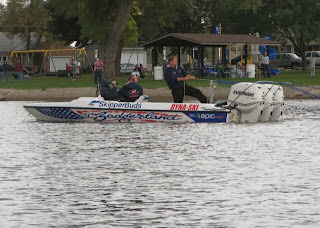 This above picture was taken at a previous attempt at the worlds record in Beaver Dam, WI. The goal was 70 or 72 which they got off the dock a couple times but then they had falls and/or rope problems I was told. I was not there. Seems they are going to take another shot at it again in 2014.